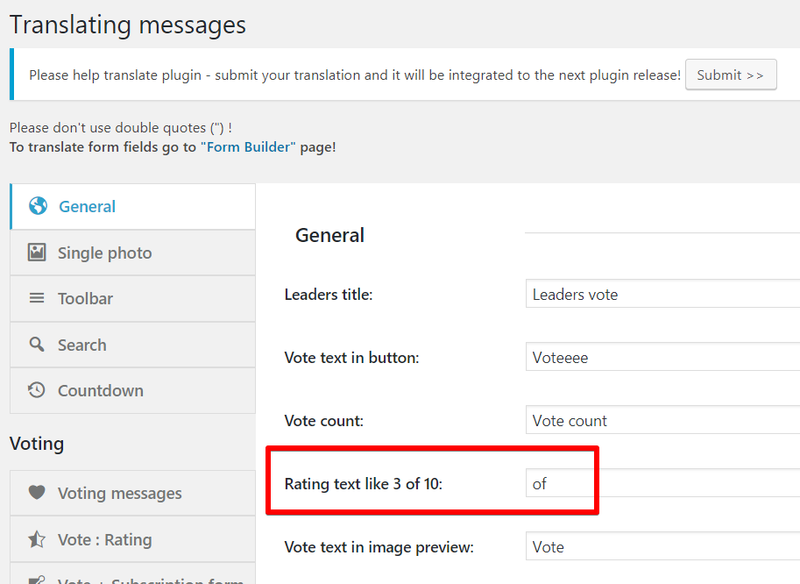 At the moment, the plugin provides three types of voting: Like, Rating (avg) and Rating summary (since version 2.3.03). Like is the easiest way to vote. 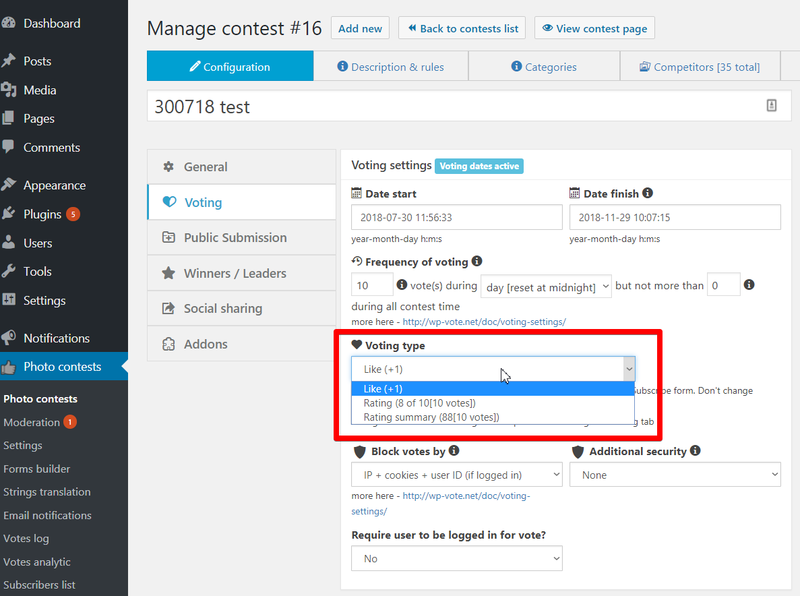 On click to the vote button if the user available to vote – the number of votes increases by 1. With this type, the user can select the number of stars for the photo. For example, from 1 to 5 or 10. It depends on the basic settings. 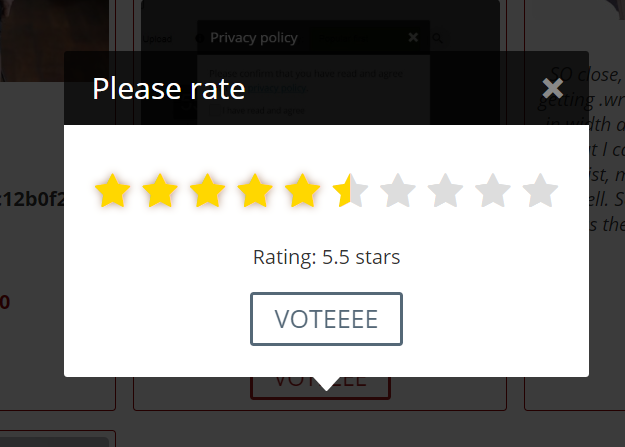 It`s possible from 5 to 10 stars. Herewith the average number is calculated. If the photo has five, six and seven stars, then the average will be 6. It is very similar to the previous one, only with the difference that it is considered the total amount of stars, not the average value. For example, all photos received five, six and seven stars. As a result, they will have 18 stars.